arrow-icon Created with Sketch. arrow-icon Created with Sketch. 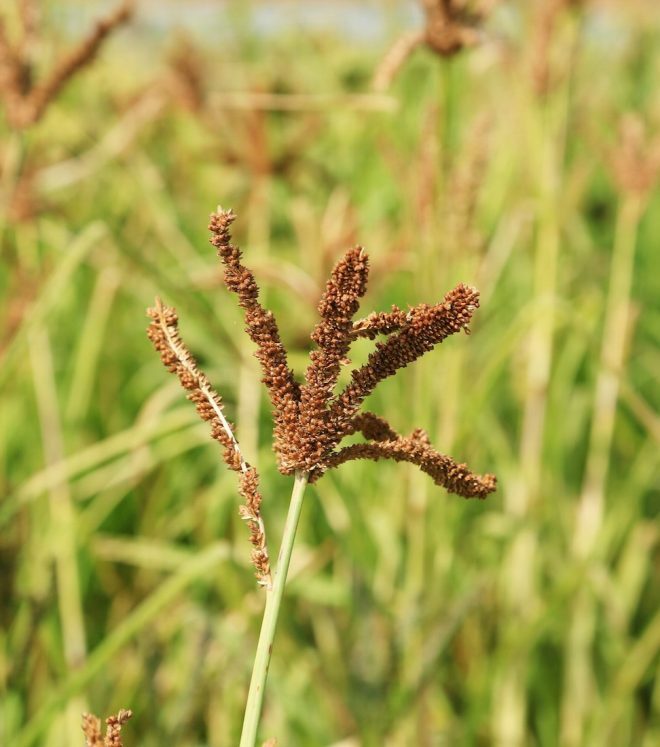 Finger millet (Eleusine coracana) is an important cereal crop in parts of Africa and south Asia. It is native to Ethiopia and was probably domesticated in East Africa, spreading to India about 4,000 years ago. India is now the world’s largest producer of finger millet. The species has two subspecies; africana and coracana. Subspecies africana is diploid (2n=18) while subspecies coracana is a tetraploid derived from the diploid subspecies. Finger millet is very adaptable to a wide range of environmental and climatic conditions. It thrives at higher elevations than most other tropical cereals and tolerates salinity and high temperatures better than most cereals. It is one of the more nutritious cereals and important for small-holder farmers. Finger millet is mostly self-pollinating, with some amount of cross-pollination (1%) mediated by wind. The largest genebank collection is held by ICRISAT in India. The USDA also holds a sizeable collection.